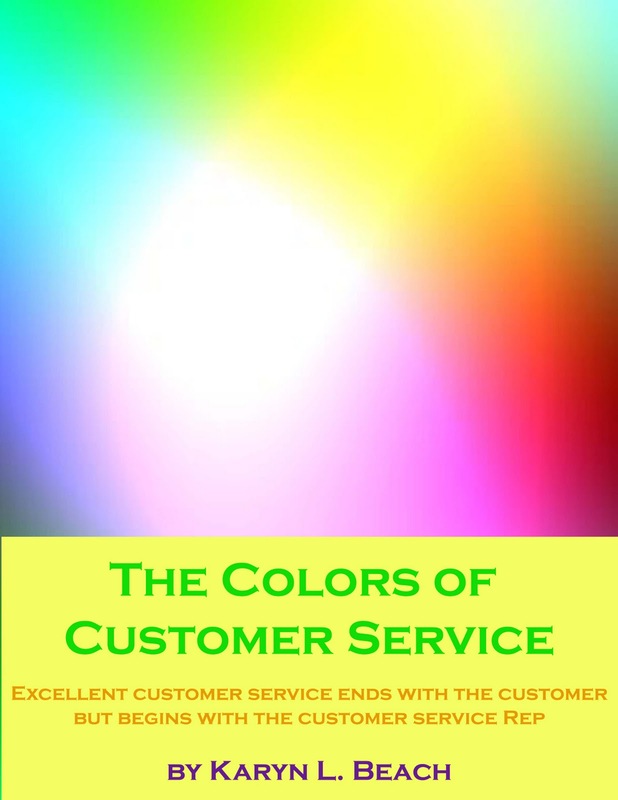 This blog is named after my book The Colors of Customer Service. As a trainer with a decade and a half of experience, I've done my share of customer service training. I've taught a number of off-of-the-shelf training courses and attended a number of customer service trainings. Of course, the basics of each course were the same but for me something was missing. Sure, its critical to keep hold times down, to make warm transfers, to speak clearly and pleasantly and to show empathy. Yet, the focus was 100% about placating the customer and placing the customer first. On the surface that sounds right but dig a little deeper and you'll see the fallacy in that line of thinking. A conversation takes two people. An interaction or exchange of information is not a one-way street. Yet, most customer service training was very omnidirectional. I found that no matter how many times you say 'the customer is always right,' no matter how many mirrors you pass out or how much role-playing you do, there is a dimension of training that is missing. Often times CSRs enjoy training because it's a day away from the phones. However, when those same CSRs return to their desk, there is very little, if any, behavior change. When I had the opportunity to tweak a customer service training I was asked to deliver, I added the critical component that I felt had been missing. Adult learners are always interested in "What's in it for me?" when it comes to learning new concepts. What can they apply to make their jobs easier or their performance more effective? What can they take away from the training that will make a marked improvement for them? When it came to most customer service training, the answer was "Not much." I added some simple tips on staying engaged and staving off boredom. I gave them advice on organizing their desk more effectively. I told them how to handle an irate customer so that not just the customer would leave satisfied but so that they hung up the phone without taking the residual frustration onto the next call. Not only were the participants more engaged, but they left with actual concepts that could not only improve their job performance but their outlooks as well. 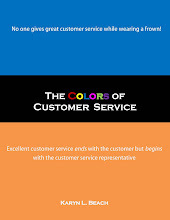 Those are the concepts that I applied to The Colors of Customer Service an allegorical tale that takes place in a world run by chameleons that change color based on mood. When Peter, the new customer service manager starts, he's mortified to meet a team made up of discouraged blues, disengaged yellows and disgruntled reds. 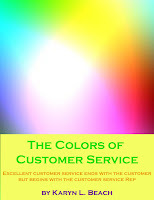 Through the course of this short book, he'll meet with each team member and change their colors. By the end, he's got a team made up of professional greens, friendly pinks and confident oranges and purples. Available exclusively via Amazon, over the next few weeks, I'll be introducing some of the characters. While they are all chameleons, I'm sure you will see shades of people you know in them.